One of the easiest ways to transform a sweatshirt or a t-shirt is to cut it up! The looks we created below are quite simple. First find a t-shirt or sweatshirt you would like to deconstruct. Then, decide how much of the neckline you’d like to cut. If it helps, draw a line or dashes along the neckline as a guide. This sweatshirt was purchased for $2.00 in the boys’ section. 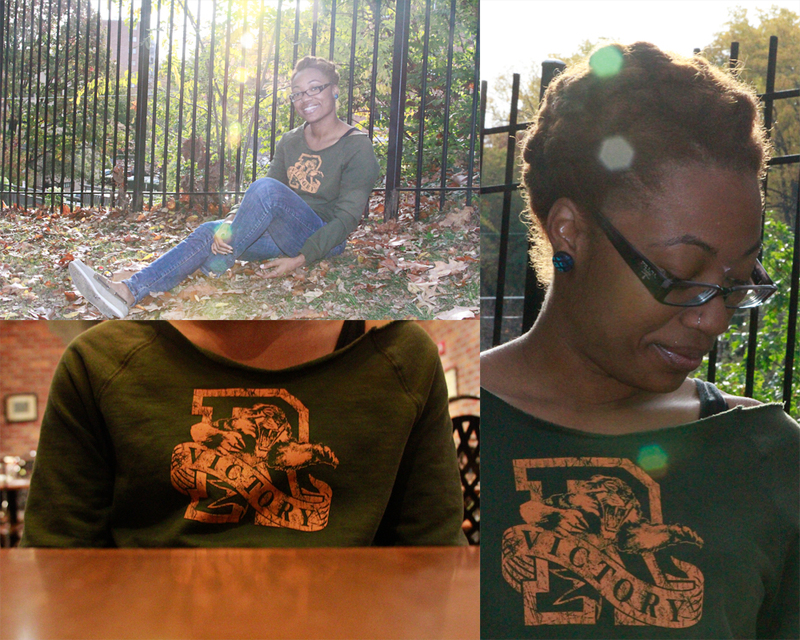 Love the “R” and “Victory.” Jeans + Deconstructed Sweatshirt=perfect casual ensemble. BTW: the very craft M. Ricks made the fabric earrings! A good rule of thumb is to cut about an inch below the neckline. If you’re feelin’ a more 80’s look, you can also cut the sleeves and the bottom. 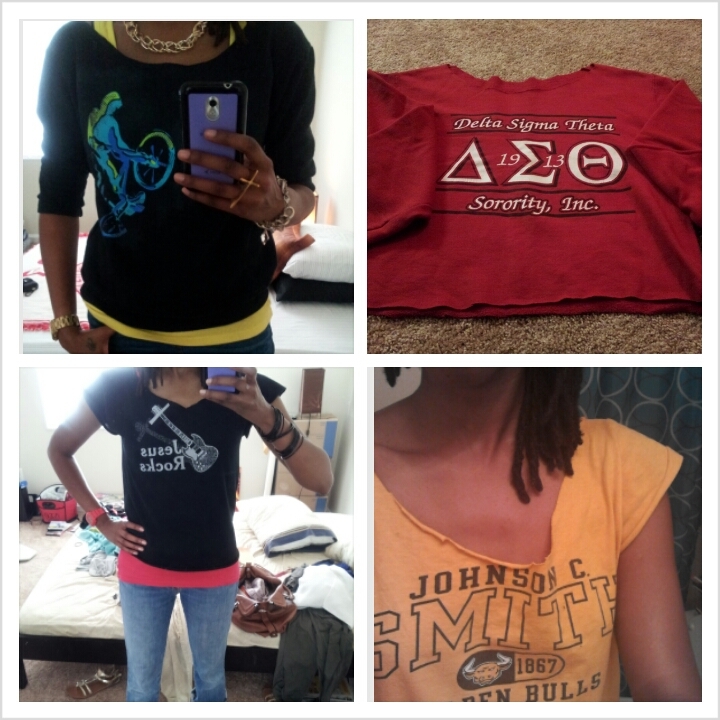 Clockwise: Old sorority sweatshirt that got a bleach stain on it, old t-shirt I bought a million homecomings ago, a youth sized t-shirt I saved from the thrift store and youth sized sweatshirt also from the thrift store. This only takes a few minutes, and the best thing about this look is it doesn’t have to be perfect. Grab some scissors and get to work! If you create this look, send us a pic so we can add it to the blog!